Those of us who work at Canada Pump and Power work hard every day to please our clients, but we also have another goal that we are working toward. 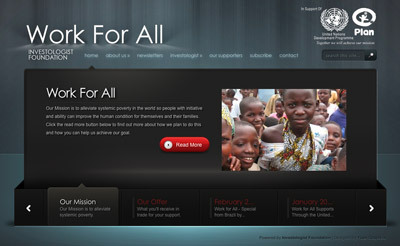 This is to eliminate systemic poverty in the world through Work for All, our non-profit public foundation. Canada Pump and Power is the lead supporter of Work for All, and we are partnering with other businesses and established charitable organizations to make as much of a difference as we can from our efforts. At Canada Pump and Power we also support local charities and youth sports teams that are directly engaged in the communities near where we work and live.